IDI Composites International announced today they have entered into a joint venture agreement with SMC Composites in Mexico City, Mexico. 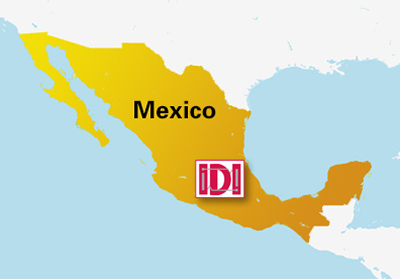 The newly named company, IDI Composites International Mexico, will focus on expanding IDI’s worldwide footprint and bring the number of IDI’s global manufacturing facilities to seven. Demand for IDI’s proven line of Sheet Molding Compounds (SMC) and Bulk Molding Compounds (BMC) is at an all-time high and IDI’s newest product line, Structural Thermoset Composites (STC®), is meeting the need for more advanced and higher performing materials in applications requiring high strength and low density. IDI recently completed a multi-million dollar expansion and upgrade of their Noblesville (USA) manufacturing facility and corporate headquarters. “The timing of this deal makes sense for us as global demand for our products continues to grow and we see this continuing for the foreseeable future.” states Tom Flood, IDI Composites International’s Vice President and General Manager, North America. “In addition, we continue to research and develop new materials that keep our product lines and the industries we serve expanding.” he adds. With state-of-the-art manufacturing facilities currently in operation in Mexico City, IDI Composites International Mexico will better serve the growing manufacturing base in Mexico and it also opens up markets in Central and South America. “SMC Composites is very pleased to form a joint venture with IDI Composites International, a leader in SMC and BMC manufacturing worldwide, added Jose Octavio Lopez Presa and Pablo Zahoul, respectively SMC Composites’ President and VP for Technology Development. “This joint venture expansion will enable us to continue to take a leadership position in our industry and most importantly, we’re excited about being able to better serve our customers.” confirms Tom Merrell, IDI Composites International’s President.